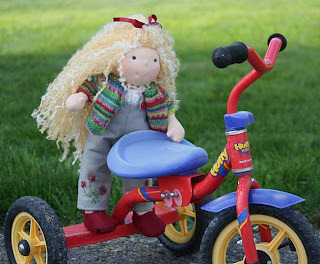 instructions on how to make the dolls from beginning to finish. You will need to be able to receive emails and have skype or a gmail account. Previous sewing experience is required for this class, there will be homework as well. of the desired class as well as the scheduling for classes. 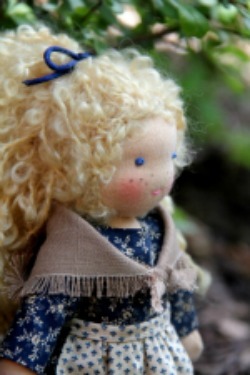 I was so excited when I finished my doll in Peg Nyberg's waldorf doll class! Dr. Peg was so fun, patient, fun and educational as she led us through several hours of hard yet exciting tasks that helped us create our beautiful waldorf dolls. Really, the first ones we did turned out really cute! Then the next fun part was taking him home to decide how to dress him! For me, it was well worth the time, money and energy to attend the class. The reward will be a new lifetime talent, hopefully many of my loved ones will enjoy! I took my one on one class over Skype with Peggy. All I can say is IT WAS WONDERFUL! This class surpassed any expectations that I had! Peggy's kit includes only top quality materials to work with and she is a natural teacher. She is also very kind, patient and super funny! Her patterns are very easy to follow! I couldn't believe that my first doll turned out the way it did! Super impressed! I will miss the sessions but she has given me a wealth of knowledge that will allow me to make many more dolls in my future. She also responds to emails very quickly and tries to help out in anyway she can! Thanks Peggy for an absolutely wonderful experience that I will never forget! 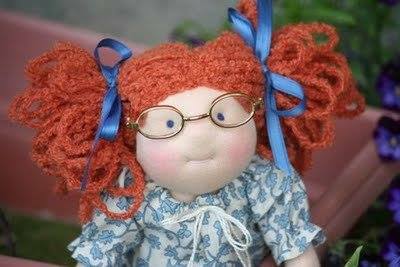 "I had the privilege of a private doll-making weekend class with Peg Nyberg - what a delight. I couldn't have asked for a better experience. Peggy is a natural teacher and the course was relaxed and fun.The doll pattern she taught me was exceptional, and the materials we used were top quality. I so appreciated Peggy's knowledge and insight, and want to thank her again for such a great course. Thanks Peggy!" In each class we have had so much fun and laughed so hard.